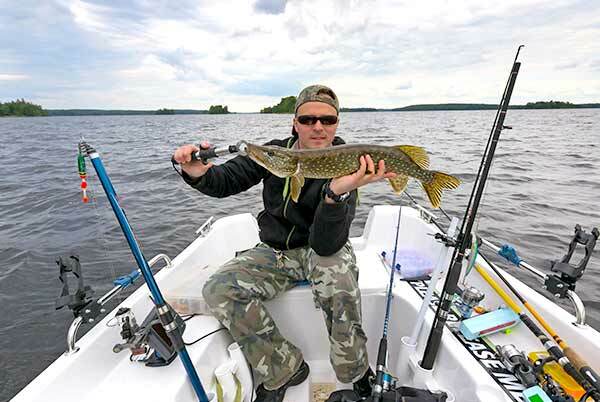 One of the fishing credentials you can obtain in North Carolina is the freshwater fishing license – also known as the inland fishing license – which is offered to both residents and nonresidents. This particular permit to fish is also available on a short-term basis or for the duration of your lifetime, depending on which one is more suitable to you. However, in order to get a fishing license in the state, you must first fulfill the necessary requirements, as mandated by the North Carolina Wildlife Resources Commission. There is a slew of resident freshwater (inland) licenses that are available to purchase in North Carolina. Some of the most common freshwater permits include the following: a 10-day inland license, an annual license, a lifetime license, a privilege license, a senior license and a disabled license. Regardless of which one you would like to obtain, you can begin the process of applying online, by phone or in person. If you intend to buy freshwater fishing licenses in person, you will need to visit a North Carolina Wildlife Resources Commission agent in your local vicinity. The steps to get an NC non resident fishing license are almost identical to those associated with getting a resident fishing license for inland waters. You will need to complete the process through the state’s Wildlife Resources Commission, either online, in person or over the phone. Along with a short-term inland license to fish, both annual licenses and lifetime licenses are also available. However, take note that if you are interested in getting a disabled, youth or infant lifetime license, you will need to visit a WRC agent. That is because these licenses cannot be purchased online. Depending on the validity period of your North Carolina fishing license, it will typically be good for a period of 10 days or a year. Lifetime licenses are also available for purchase. If you have a 10-day freshwater fishing license or an annual freshwater license, you will need to apply for a new one after the expiration date, if you would like to continue partaking in this outdoor sport. The state of NC does not provide an application for fishing license renewal. In most cases, you can simply apply for a new license online, by phone or in person. In order to properly complete your transaction in person, visit a wildlife service representative in your area. If your freshwater (inland) license is lost or stolen, you will need to fill out a new application in order to request a fishing permit replacement. This application can be obtained on the North Carolina Wildlife Resources Commission website. Once you have properly filled out all the blank spaces on the form with your personal information and license number, then all you have to do is submit it to the NC WRC via mail with payment for the $7 fee.